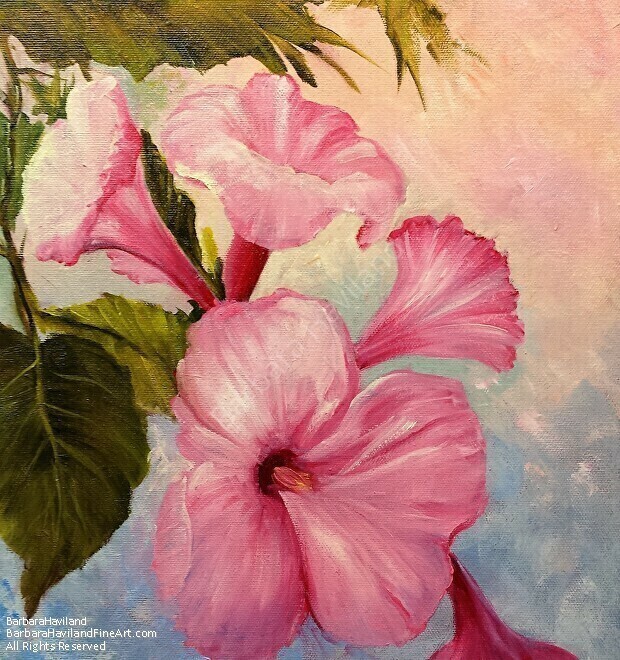 Blue Morning Glories done in oils and on a 12×12 round canvas panel. I recently got some oval gold frames and painted paintings to fill them. 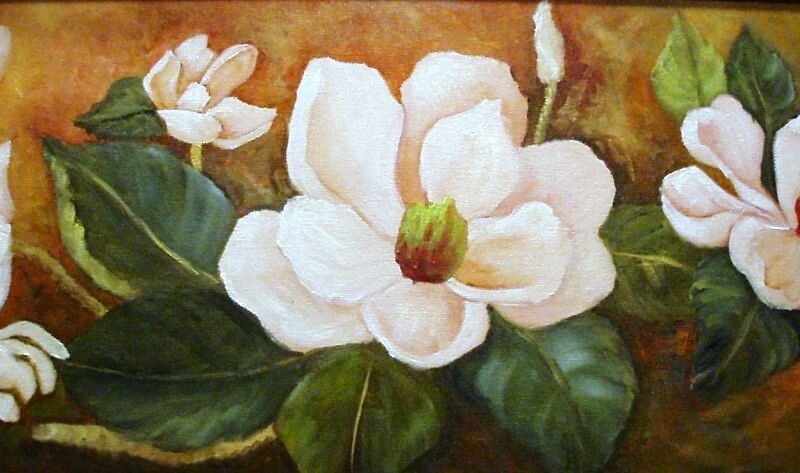 Blue Morning Glories is one of those paintings. Hope you like this one. 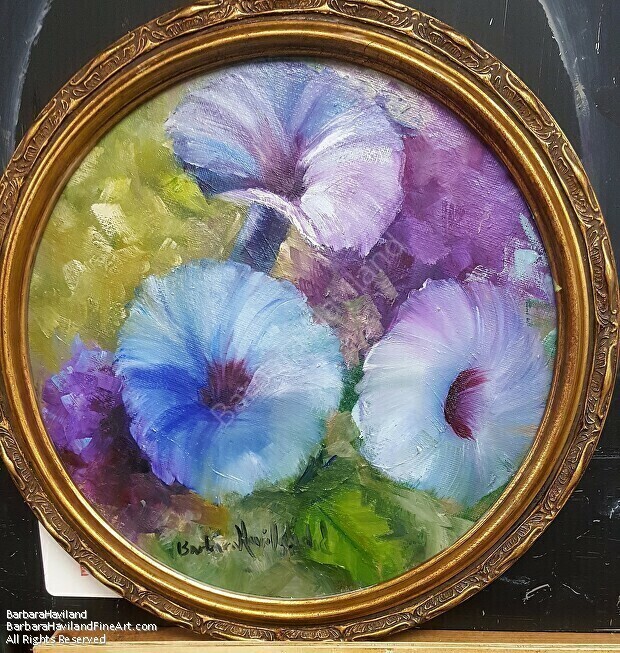 Tagged Barbara Haviland, BarbsGarden, blue, framed, morning glories, original, round 7"